Looking for private in-home or in-studio Trumpet lessons? Our Mesa teachers are ready to get you started. Find your teacher today! Hi, there! I've been teaching private lessons since 2010 I love helping my students learn how to read music, perform in groups at a high level, and compose their own music. I have a teaching style that is engaging, fun, and effective! I look forward to helping you reach your goals! Hi, there! My name is Peter Verdugo and I cannot wait to work with you! I've been teaching private lessons since 2010 and have loved helping my students learn how to read music, perform in groups at a higher level, and compose their own music. To learn more about lessons please feel free to contact me! I am looking forward to hearing from you! Has been excellent. He is patient but clear , always prompt and very knowledgeable. I would highly recommend peter for anyone considering lessons. Peter is an incredible instructor. His breadth of knowledge and understanding is unparalleled to that of anyone I have ever encountered. He is patient, and kind and genuine all around good guy. I enjoy working with him. For students who have recently joined a school band and want to get the most benefit by starting with a solid foundation. 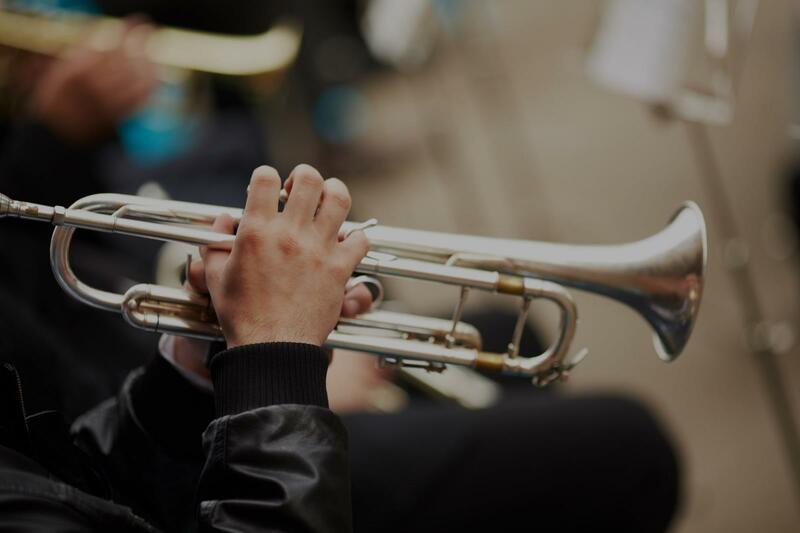 Students will learn the basics of sound production, forming the embouchure, breath control, and proper posture for playing the trumpet. time. My kids really like him and lessons are going very well. Thank you Mr. Walker!. We really appreciate you!." "Allan is very professional yet fun, and explains things in a way I can understand! Excellent instructor! Thanks"
"Very professional. Able to keep the attention of my seven-year-old for the whole half hour ! I think he'll make a lot of progress." "We liked the trumpet lesson with Mr. walker very much. My son is encouraged to play the trumpet now!!!" "Instructed our son on the trumpet & guitar for 6 years. He is patient and flexible and just incredible. I would recommend him to anyone!" "10 minutes in and things started clicking about mouth positioning and breath control! Highly recommended from me, so far!"